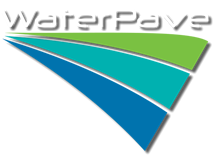 EcoPanel by WaterPave is the latest product designed and manufactured by WaterPave Australia Pty Ltd.
EcoPanel has been developed as a self-supporting panel insert system for use within hard streetscape projects where new tree planting is required. The Panels are easily removable, weighing approximately 20kg each due to its lightweight aluminium construction. This allows easy access for maintenance crews to inspect and maintain the tree’s health and soil top up if necessary. The lightweight design aids in the cleaning and maintenance of the panels and replacement if damaged. The new innovative design has taken the tree growth into consideration by containing an interchangeable tree growth insert. The tree growth insert can easily be removed and replaced with a new insert of a larger diameter hole to accommodate the tree’s growth. This eliminates the need to use loose mulch or loose stones around the trunk of the tree. Once the lightweight aluminium panel has been fabricated, WaterPave’s unique high quality granite mixed with our high performance UV stable-resins provide an engineered structure that is flexible, strong, permeable with a highly desirable finish. EcoPanel has many environmental and sustainable benefits such as reducing the “Heat Island Effect”. The Heat Island Effect is caused by hard surfaces reflecting the suns rays, in turn heating up the atmosphere. Due to the porous nature of the EcoPanel system, the reflection from the sun is reduced. Also, the permeable surface filters the rainwater as it passes through to the root bulb of the tree.